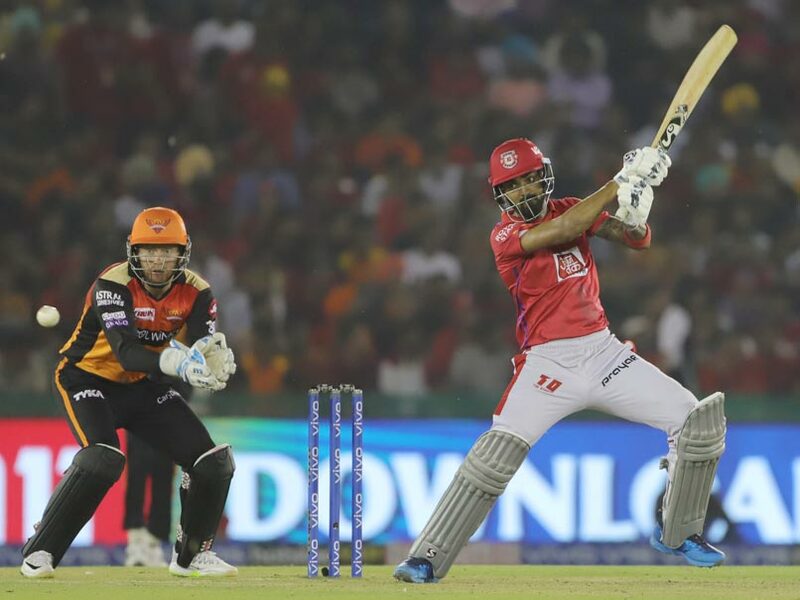 IPL 2019, Kings XI Punjab vs Sunrisers Hyderabad Highlights: SRH scored 150/4 in 20 overs. 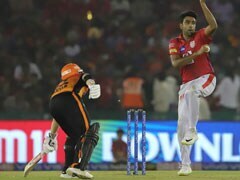 IPL 2019 Highlights Updates Between Kings XI Punjab vs SunRisers Hyderabad, straight from Punjab Cricket Association IS Bindra Stadium, Mohali. This brings us to the end of a thrilling contest between Kings XI Punjab and SunRisers Hyderabad from Mohali. Thank you for joining us for the live IPL coverage. KL Rahul remained unbeaten on 71 from 53 balls. KL Rahul hits the ball towards deep mid-wicket and runs for 2 runs. KXIP win by 6 wickets. KL Rahul hits the ball straight back past the bowler. KXIP need 2 runs from 2 balls now. Curran takes a single and gives the strike to KL Rahul. 6 required off 3 now. Curran hits the ball straight down the ground as he and Rahul complete 2 runs. Curran takes 2 runs from the 1st ball. KXIP need 9 from 5 now. Mohammad Nabi will be bowling the final over. Sam Curran is the new batsman at the crease. 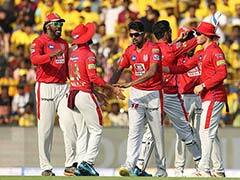 Kings XI Punjab need 11 runs to win from the final over. Kaul strikes! Mandeep Singh has been dismissed. He fails to clear the ball over long-off and has been caught by Deepak Hooda. KXIP are 140/4 in 19 overs. 4 singles have been taken from 4 balls now. KXIP need 12 runs from 8 balls. Mandeep Singh is the new batsman at the crease. KXIP need 16 runs to win from 12 balls. Sandeep gets one more! David Miller fails to clear the ball as he is caught by Deepak Hooda. Miller departs for 1. KXIP are 135/3 in 18 overs. David Miller is the new batsman at the crease. Sandeep Sharma strikes! Mayank Agarwal fails to clear the ball and has been caught by Vijay Shankar at deep mid-wicket. Agarwal departs for 55. KXIP are 132/2 in 17.1 overs. Kings XI Punjab are 132/1. They need 19 runs to win from 18 balls. Mayank dispatches the ball straight down the ground. Mayank Agarwal brings up his 5th IPL half-century. KXIP are 126/1 in 16.2 overs. Mayank Agarwal hits the ball straight down the ground. The 100-run partnership comes up between KL Rahul and Mayank Agarwal. KXIP need 32 runs to win from 24 balls. Mayank Agarwal has been dropped on 40 by Yusuf Pathan at deep point. KXIP are 105/1. They need 46 runs to win from 36 balls. KL Rahul brings up his 13th IPL half-century. He hits the ball wide of long-on. KXIP are 102/1 in 13 overs. 12 runs were scored from Nabi's over. Rahul played the ball late as he opened the face of the bat to send the ball towards the third man boundary through the slips. Mohammad Nabi will be bowling the 13th over. KXIP are 90/1. They need 61 runs to win from 48 balls. Rahul goes inside-out over mid-off to get his 1st maximum. Rahul pulls the ball towards deep mid-wicket. Agarwal gets his 2nd boundary in the deep cover region. 10 overs have been bowled. KXIP are 69/1. KL Rahul and Mayank Agarwal have added 51 runs for the 2nd wicket. Rashid Khan will be bowling his 2nd over. 9 overs have been bowled. Kings XI Punjab are 62/1. They need 89 runs to win from 66 balls. Rahul gets his 3rd boundary as he drives the ball towards deep extra cover. 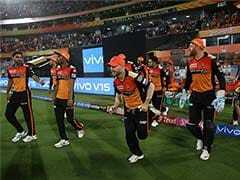 Siddarth Kaul has been introduced into the attack by Bhuvneshwar Kumar. Mayank Agarwal clears the ball in the deep mid-wicket region. With this KXIP are 54/1 in 7.5 overs. Rahul drives the widish delivery towards deep extra cover. 8 runs were scored from Nabi's over. KXIP are 38/1 after 6 overs. Mayank Agarwal hits the incoming short ball straight down the ground.